Flowers aren’t just for vases – they can make a gorgeous addition to your wardrobe too! Time was when every gentleman wore a buttonhole and every lady a corsage of fresh flowers. Seems to us that you are a old-fashioned romantic, who’d like to bring those traditions back into the twentyfirst century. 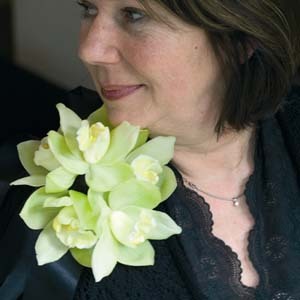 This jade green cymbidium orchid corsage is a good place to start!